In some of our recent comparisons we have focused on the different types of fabric technologies that are most commonly used in making jackets. 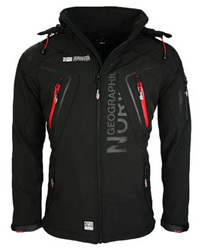 We have looked at Gore-Tex, DryVent, OutDry and similar others. 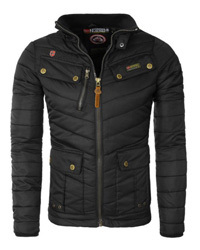 As you know, most jackets are made mainly of two particular materials, which are Polyamide and Polyester. Today we will focus on these two fabrics and take an in-depth look at their composition, their performance and how (and why!) they are used in different jackets. Let’s first start with each separately, Polyamide being the first. Polyamide, also known as Nylon by most, is the first synthetic fiber that was developed and it dates all the way back to 1930. Later, in 1939 it was further worked on and then patented as the nylon we know today. At first it was used for making parachutes and ropes during World War II and it wasn’t until the 1940s that it found use in the clothing market. Polyamide is a polymer, which means that the fibers are made of several molecules linked together, creating a long chain. It is created as a liquid at first, which is then spun and dried into single fibers. 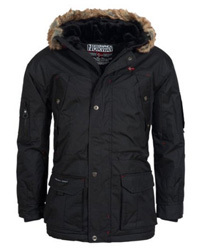 The process is a bit longer and takes a lot more resources, time and it also costs quite a bit, which is why jackets that are made of this material tend to be a bit pricier. Because of how polyamide fabrics behave in regards to moisture and abrasions, nylon has considerable resistance against both. It absorbs very little moisture overall and it is also quite durable to abrasions and damage from oils and several other chemicals. 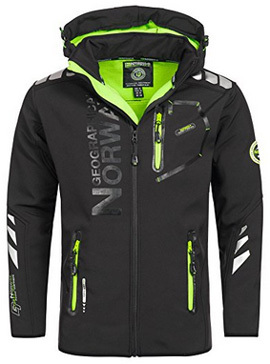 In regards to temperatures, polyamide is not very insulating, which makes it unsuitable to wear during cold winters, unless the jacket is made of mixed layers, which we will discuss below. In case it gets wet, it will remain so for some time, all the while feeling colder. This is why it is quite suited to wear in warmer temperatures, since it has this tendency to remain cool when moisture is present, such as perspiration from the body. 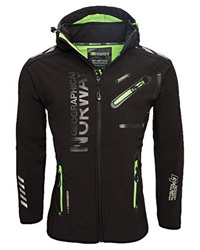 Lastly, because polyamide fibers were originally made as an alternative to silk, the fibers are quite soft and flexible, which makes nylon jackets very comfortable to wear and especially to move around in. Also a polymer, polyester was first developed in 1941 and then patented in 1945 by the same company that patented polyamide. One of the main qualities of polyester is the hydrophobic nature of it, which means that these fabrics “hate” water and will not absorb any of it. Maybe you have heard of fleece and its ability to let water seep through rather than getting absorbed into the fabric. It is also quite renowned for how quickly it dries. Well, it so happens that fleece is a fabric made of 100% Polyester and it demonstrates this hydrophobic quality perfectly. On the other hand, polyester is oleophilic, which causes issues down the line, such as it holding onto certain smells, most commonly body odor. This, even after it being laundered. Because polyester does not get soaked per se, but rather it allows moisture to move through the fabric, it makes wicking of perspiration quite easy and it also helps with insulation, since it does not draw excess temperature from the body to dry. Polyester is stretch-resistant, meaning that it won’t lose its shape overtime. It also shows an anti-pilling effect. Pilling is what happens when fabric fibers roll up and form small balls on the surface, which does not really affect performance or durability, but it is not very pleasant to look at and will make the cloth look old and worn out. Of course, the higher the quality of the polyester used, the lesser the risk of pilling and vice versa. In regards to performance and composition, Polyamide is a lot more flexible and comfortable overall, because as we said, it was made to behave like silk. However, with recent technological advancements, polyester does not fall far behind. What once was a stiff and stretch-resistance polyester fabric, nowadays there are soft, flexible and extremely comfortable ones available. As mentioned above, both nylon and polyester are quite resistant against moisture and rain, but they behave differently. 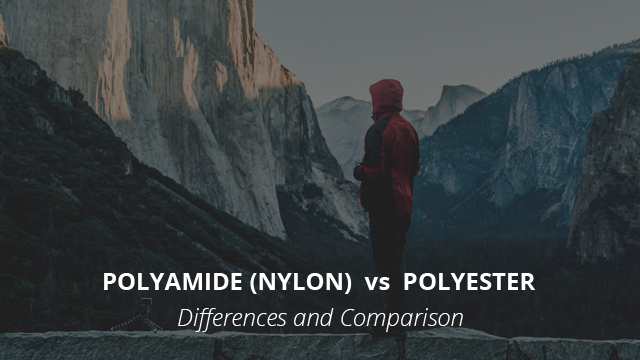 While polyamide tends to behave slightly hydrophobic, polyester is more so, making it the better one when it comes to moisture resistance. It also causes moisture to wick away from the body quicker and it dries much faster than polyamide. Polyamide, on the other hand, tends to absorb more water than polyester, which makes it slower to dry and also less insulating since it requires a lot more body heat to dry out. In terms of durability, then Polyamide has the upper hand as it is the stronger of the two. It is also quite stretchable in comparison to Polyester, which tends to be anti-stretch. Taking long-term wear into consideration, polyester is anti-pilling, more so than polyamide, which means a newer-looking jacket in terms of appearance. Caring for either of these fabrics is a breeze as they are machine-washable and do not require much time or effort to maintain. Polyester might benefit from fabric softeners once in a while, in order to keep the fibers soft. Now, there is something that bears mentioning, which is each fabric’s oleophilic tendency. What that means is that the more oleophilic a fabric is, the more it will hold onto body odor. Nylon is not oleophilic, which is why it does not have any odor issues as any that might catch onto the fabric, is completely washed away. Polyester, however, is and that is exactly why even after several washes, once the jacket warms up, you can pick up a faint smell that won’t go away. This is also why Polyamide is oil-resistant, whereas Polyester is not. But, this is not to say that Polyamide makes it through this part with flying colors, as it has a tendency to get damages with sun exposure, especially white fabrics, which tend to turn yellowish. A little bit of bleach can go a long way, in this case. As for ironing, low heat should be perfectly fine as it won’t melt either fabric. In regards to why either fabric, or even both, are used in certain jackets, the answer to that is in their specific qualities. For example, softshells which are designed for agility, movement and comfort, are made of Polyester and lined with fleece on the inside. This guarantees insulation, as well as moisture wicking. Because polyester is less likely to wet out overall, even after the DWR finish has started to wear off, it provides better weather protection and is a lot more breathable than polyamide. This is the reason why you will find it more commonly used in breathable membranes and jackets that are intended for physically-demanding sports. On the other hand, in jackets that are intended for durability, with mild weather-protection, polyamide is the fabric of choice. Due to its tendency to get wet more so than polyester, polyamide is not a great choice for low temperatures as it tends to remain cold, not providing adequate insulation. That’s why you will come across it in windbreaker and rain jackets, especially those treated with DWR coating. As for fabric technologies, unless certain materials are used, such as in the case of Gore-Tex, most of the other options available rely on either polyester or nylon, depending on the purpose of the membrane, while some utilize both in order to provide a well-rounded experience. Very useful information. Overall topic was interesting. Thanks for the comparison. Well written and easy to understand.